Many of us have been told to use butter for burns at some point in our lives. This is a remedy that has been around since the 1800’s and became popular when a Prussian surgeon by the name of Friedrich Von Esmarch wrote a book on battlefield medicine (1, 2). Much of what he wrote became the gold standard of first aid, including using butter on burns, and some of it is still used today. Despite being a brilliant doctor in his time, as technology has improved and our researchers now have a lot more tools at their disposal when trying to understand the mechanism of various remedies. There is some truth to many folk remedies, but as more research is done and better and often safer remedies are developed, some folk remedies are disproved. The idea was that the butter, or any grease for that matter, would seal the wound off from air to keep it clean and facilitate healing. Exposure to air often increases the pain of the burn and since butter is kept cool it can be soothing initially. However, this remedy is being discouraged by doctors the world over. In modern medicine, the only time that using butter may be applicable is if you have been burnt by tar and need to have it removed, but they have better substances to do this (3). Another substance that ends up burning people seriously because it melts as it burns, is bitumen. They tested a variety of substances including butter to see how well they can remove the bitumen without damaging the skin. De-Solve it was found to work the best. If you are burnt by a hot sticky substance or one that melts and causes deep burns, you will need immediate medical care. These are not the types of burns that you would treat at home. Putting butter on a burn, or any other greasy substance, immediately after being burned will only keep the heat in (1). This worsens the burn as opposed to making it better. Over a couple of hours, if a burn isn’t sufficiently cooled it can get worse by continuing to burn deeper causing further damage and increasing the risk of scarring. 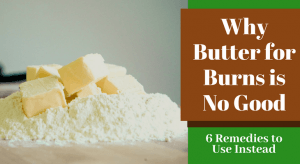 Putting butter on a burn might not be so out of place if there is dust and all sorts of other contaminants in the air, but if you are simply at home or have safer remedies that actually work, using butter is not a good remedy. If you are going to be using butter, leave it for once your burn has cooled. This can take a few hours. You may even want to leave butter or greasy remedies until your skin has mostly healed. Butter does have vitamins and minerals that may help your skin out by keeping it moisturized and supplying nutrients. Having said this, butter is better used as food than as a burn remedy. This should be the first thing that you do and it should be done as soon as possible. Either run cool water over the burnt area or soak it in some cool water. Never use ice cold water or ice. At worst this will cause even more damage. At best it slows down the blood circulation which stunts your body’s natural healing process. Cool water is soothing and it prevents air from reaching the wound as it cools down. You may find that this won’t completely cool your burn, but it cools it enough to help prevent further damage. You can also soak a clean cloth or gauze in cool water and apply it as a cold compress as needed. 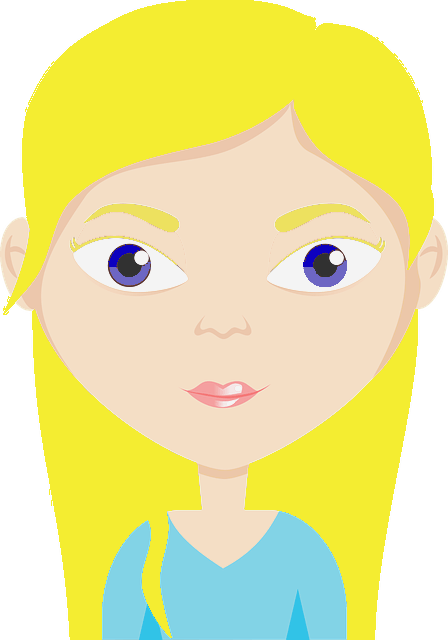 For minor first degree burns, this may be the only treatment that you need. Honey: Honey has antibacterial properties that help to prevent infections (4). Aloe vera: Aloe vera soothes the burn and helps to speed up healing (4). Milk: Whole milk is quite fatty, so it should only be used after the burn has cooled sufficiently. Skim milk can be used if you don’t have access to cool water. It has anti-inflammatory properties that can also speed up the healing of the wound (4). Mustard: Many have claimed that mustard has cooled the burn down and even prevented scarring almost overnight. Just be aware that keeping mustard on too long or using a very strong mustard can irritate the skin. Saltwater: Salt helps to kill germs and can help to dry out the wound so that it isn’t weeping and prone to infection (5). You can mix some of these remedies together or you can use them by themselves. Check out this article for more safe and effective home remedies for burns. First degree burns: These burns are minor and only affect the surface of the skin. They are easily treated at home. Second degree burns: These burns go a little deeper and most can be treated at home. They are more painful than first degree burns and there is a risk of scarring. The skin might blister. Third and fourth degree burns: These burns are very serious and should never be treated at home except to remove the source of burning if possible. These burns are deep and cause damage to the nerves, blood vessels, muscle, and even bone. Emergency medical attention is needed. Keep your burns clean to prevent infection. Don’t wash them too much or you’ll irritate them, twice a day will be fine especially if you are using a treatment like honey that has antibacterial properties the rest of the time. Never pick or scratch your burns. If it becomes worse, for example, your blisters get larger (about the size of your thumbnail), you see pus, it becomes very swollen, and/or you develop a fever, it’s best to seek medical attention as the wound has become infected. To prevent burns in the kitchen use oven mitts, keep the pot and pan handles out of the way so that they can’t be knocked off the stove, open the oven door carefully, and avoid contact with steam. Be careful when sipping hot drinks or eating hot food especially in takeaway boxes or cups as they are designed to keep you from burning as you hold them which can be deceiving as to how hot the contents actually are. To prevent burns outside don’t walk around barefoot when barbecuing and use long tongs so that you don’t get to close to the heat and flames. When there is snow or ice, dress appropriately. Exposure to cold for a long time can also cause burns. Wear protective gear when working with chemicals and fix exposed wiring (or call an electrician to do it) to prevent chemical and electrical burns. Please let us know which remedies you have found work best for burns and the old folk remedies that your grandparents told you to use.